Stitchin' Bints: full drop spindle? I started spinning this 'Monet's Pond' from picperfic with enthusiasm, but recently that's waned and I've been spending the time on a different project. Why? After a couple of weeks of non-production, I worked it out this morning. 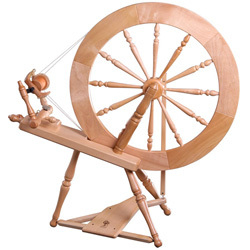 I'd decided to split the fibre and spin half on one spindle, half on another and then ply from the two cops. But with half of the first half done, the spindle is getting very heavy (the one on the right). I've seen people using much fuller spindles than this, but really, it wasn't fun. I'm spinning fairly fine, so it's taking more care to prevent the work from breaking, plus it takes more effort to twist the spindle and get it spinning. So I've started another spindle and will have four before I ply. That'll mean a bit of joining but that's worthwhile in return for starting again on a nice light spindle which only takes a little flick to get it whizzing around. I wind my spindles off into a ball (wound around a central core)when I'm spindling. 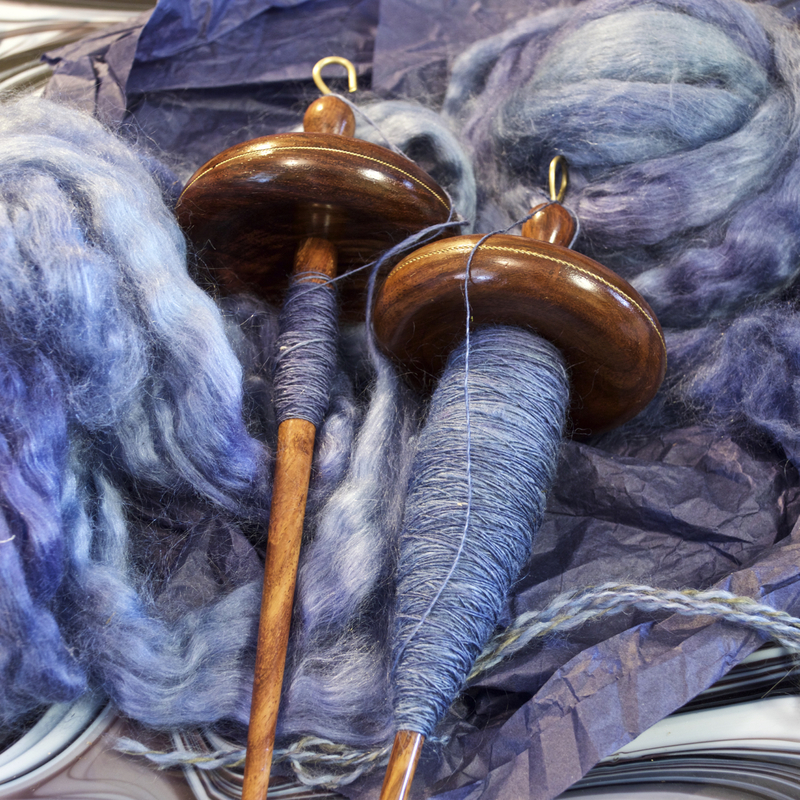 It's much easier to ply from balls than from a spindle. Also, the nature of spindling means that I can join the end of the ball to the yarn I'm just spun on the spindle, and wind it on the ball with no visible join. Thanks Freyalyn, I was hoping to avoid 'winding off' as that just seems like unnecessary work. I Like your tip about the ball though, using a ball-winder would make short work of it, and yes, plying from balls would work well too. By coincidence I read a tip this week saying that winding-off helps to even out any inconsistencies in the twist, so maybe there's another reason for taking the trouble to do that.